There is an increasing recognition in cognitive sciences of the need to account for the fundamental role of anticipation; an ability exhibited by living systems to orient toward future. 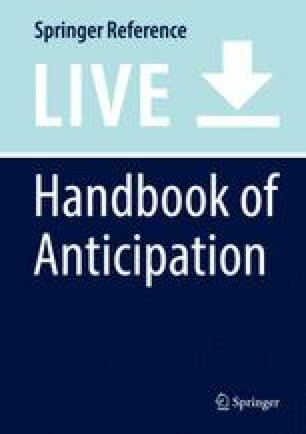 Anticipation has been even proposed in psychology as the foundational building block of cognition. More recently, cognitive sciences and philosophy of mind have seen proliferation of theories varying in flavor and emphasis but common in postulating the fundamental role of predictive inference in the brain’s function. These accounts are steeped in computational cognitive paradigm and a contributing factor to their rapid gains in popularity is their consistency with the mechanistic view dominant in sciences. However, due to this very computational commitment, these accounts face serious philosophical problems, in common with other computational approaches, in their inability to provide a satisfactory explanation of the most fundamental properties of our mental life. Robert Rosen offered an alternative account of living systems, which inextricably links life and cognition. His postulate is to extend narrowly constructed mechanistic (and henceforth computational) account beyond classical Newtonian mechanics to a framework recognizing that living systems constitute a distinct class of complex systems and positioning anticipation as the fundamental characteristics distinguishing them from inanimate ones. Anticipating synchronization, a recently discovered intriguing behavior of some dynamical systems, offers a possibility of explaining anticipation from ground up, based on simple features abundant in living systems in general, and in the nervous system, in particular. A review of the studies investigating the anticipating synchronization and its extensions is provided, and a special emphasis is placed on the investigations concerned with its neurobiological plausibility. The core definition of anticipation according to Rosen postulates the ability of an organism to change its behavior in view of potential future outcomes. Thus, an overview is included of research on motion coordination that is grounded in dynamics and also concerned with the role of anticipation in movement. Hesslow, G. (2012). The current status of the simulation theory of cognition. Brain Research, 1428, 71–79. https://doi.org/10.1016/j.brainres.2011.06.026. Retrieved from http://www.sciencedirect.com/science/article/pii/S0006899311011309. (The Cognitive Neuroscience of Thought). Seoane, L. F., & Solé, R. V. (2018). Information theory, predictability and the emergence of complex life. Open Science, 5(2). https://doi.org/10.1098/rsos.172221. Spencer, M. C., Roesch, E. B., Nasuto, S. J., Tanay, T., & Bishop, J. M. (2013, March). Abstract platforms of computation. In Aisb 2013 (pp. 25–32). Exeter. Retrieved from http://centaur.reading.ac.uk/35696/. (Published in: The 6th AISB symposium on computing and philosophy: The scandal of computation – What is computation? Mark Bishop and Yasemin J. Erden (editors) AISB Convention 2013, University of Exeter, 3–5 April 2013. Published by The Society for the Study of Artificial Intelligence and the Simulation of Behaviour. http://www.aisb.org.uk. ISBN: 9781908187314).